Here at Building Supplies Online, we stock Tile Fixings, Roofing Screws and Cavity Trays for any of your projects needs. Our range includes Tile Fixings, Roofing Screws and cavity trays to help reduce any moisture build up. Below are a few examples of the products we have in stock but please look at our Tile & Roof Fixings section for other Tile Fixings, Roofing Screws and Cavity Trays that you may require. These Cavity Trays suit low pitches in typically 150mm, 225mm coursing in either stonework or blockwork and have an upstand at one end only. This is so that the water can run out of the Cavity trays and down the cavity tray system. 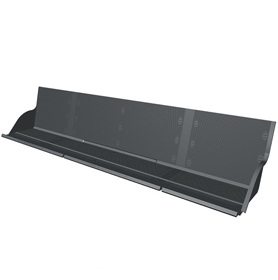 These Cavity Trays have a flexible perpend protector attached that prevents driving rain penetrating the outer wall and tracking across the masonry. The Cavity Trays have a unique front mortar clip that can be removed at any time once the mortar has set leaving a 25mm deep aperture into which the lead is inserted into and secured with lead wedges. Corotile roofing screws are specially designed for use when installing Corotile roofing sheets on timber structures to help prevent over-tightening of the roofing screws. It is important to make sure the correct roofing screws and accessories are chosen to match the Corotile sheet profile and we recommend using 9 roofing screws per tile sheet and 3 roofing screws fixings per barge board including overlap. 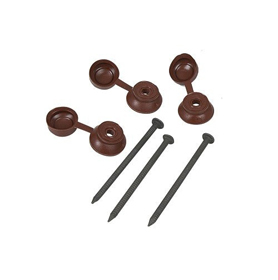 The Corolite Roofing Screws are covered by a 15-year warranty. Our business pursues innovation, to provide exceptional customer service, and to encourage customers to put their faith in us. We are always on hand to offer advice and assistance with the selection of your Tile Fixings, Roofing Screws and Cavity Trays.